Dr Kishore Shanbhag is a highly experienced implantologist and oral surgeon who provides a full range of implant related treatment. 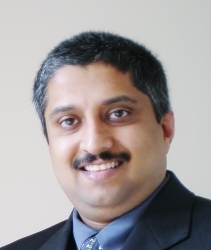 Kishore is also an Associate Specialist in the department of Oral Surgery at the East Lancashire Hospitals NHS Trust. Dr Shanbhag has wide experience in clinical mentoring and is a clinical lecturer at the University of Central Lancashire and a mentor for the Association of Dental Implantology. He is a fellow of both the Royal College of Surgeons of Edinburgh and England. Patients just beginning to think about dental implant treatment may find it helpful to attend a complimentary preliminary consultation with Mr Shanbhag, the implant dentist. This appointment does not include a clinical examination and it only takes 15 minutes. The discussion will help you consider the options for treating your dental problems and decide whether to proceed to a clinical consultation for implants. The preliminary consultation is free of charge for visitors enquiring through this website. Please use the button in the right hand column to request an appointment. AP Smile Care also offers general dentistry, hygienist services, orthodontics, endodontics and facial rejuvenation. Comprehensive monthly payment schemes are available. Referrals are accepted for all types of dental implant treatment from general dental practitioners, GPs and medical practitioners. Self referrals are also welcome. AP Smile Care is located close to the centre of Blackburn and provides a range of treatments including dental implants and oral surgery. The practice also offers late night and Saturday morning appointments.